Some fashion pieces simply have a place in every wardrobe. They are a hit however you wear them, and they can be styled each many different ways. This collection is from the February 2019 issue of BurdaStyle magazine. We’re in love! Why? Because this blouse in the stripe print is a fashionable choice no matter where you wear it. The classic menswear style with the button placket, collar and cuffs works overtime. The skirt is found on the next page. Oh là là – this outfit is simply très chic. A Breton shirt is as much a part of the laid-back French style as the beret, modest make-up and nonchalance. Chapeau! It would be hard to find anything better than the sheath dress for pure elegance. Tempered and sophisticated when sewn in a black jersey, there is nothing better to beautifully shape the feminine silhouette. This style with 7/8-sleeves also catches the eye with fastidious darts at the neckline. 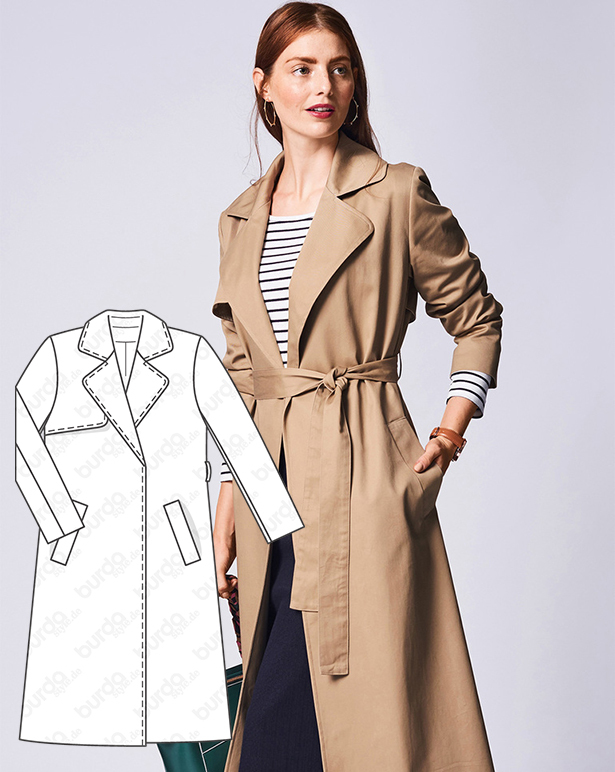 A trench coat is a clothing basic for a lifelong style that never fails. The original, presented by Thomas Burberry, included flaps at the shoulder and buttons. Our version is more feminine and closes with a tying belt. 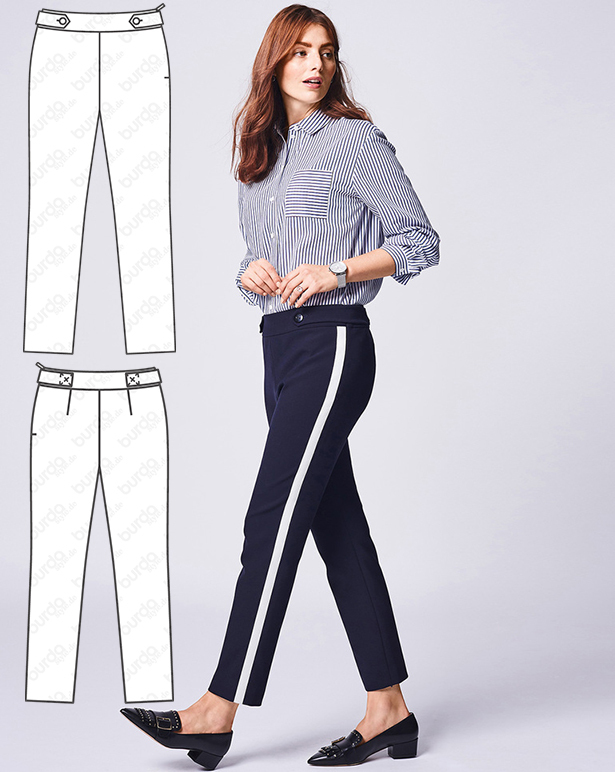 Trousers with a side seam stripe are not only a hot trend. The stripe gives a visual stretch of the leg for extra height as well as lending the elegant trousers a sporty touch and a modern nod. The flexible style is equally great with a blouse as with a pullover or a blazer. This is a must-have for every business wardrobe. Shoes make the difference for this style to change it up: flats for everyday and heels for evening or more formal events. The gathering at the waist has a stunning hourglass shaping effect for this unadorned shirt dress. 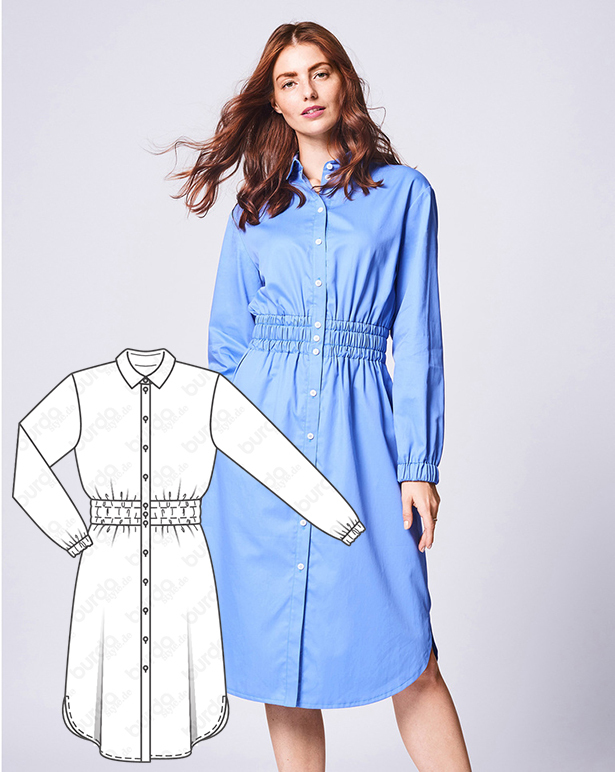 The full length button placket elongates the look and the knee-skimming hem makes it a dress for every day. Sew all the basics with the discounted pattern collection bundle here!